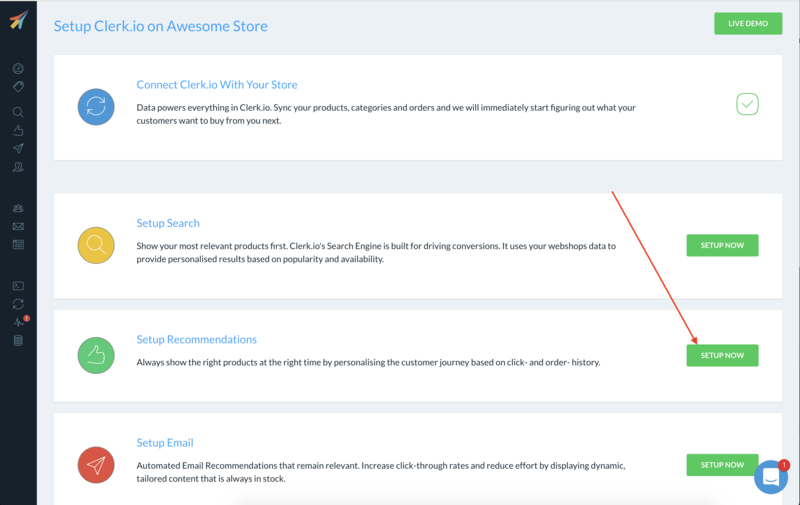 Clerk.io's Recommendations can be installed on any page of the webshop, to help customers find the right products. 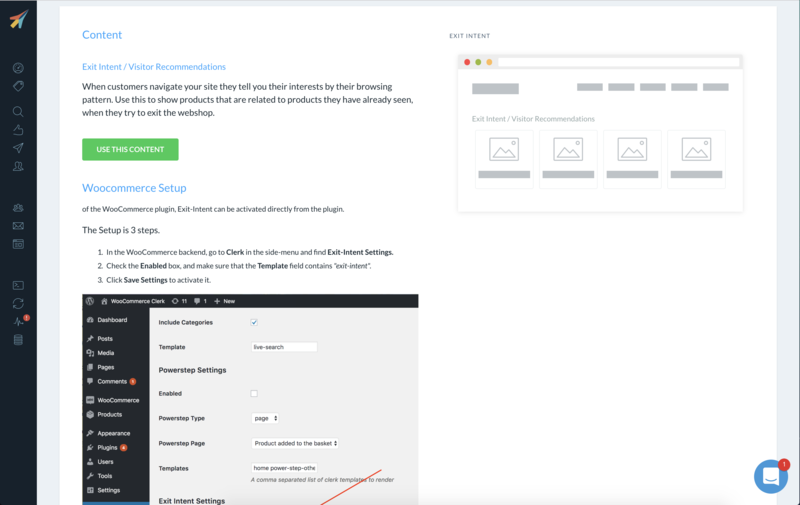 With the Setup Guide, you can see which pages to install recommendations on, and which types to use, to get our Best Practice running. You can easily change this later, under Designs in the left menu. Click Use This Design when you are happy with the styling. 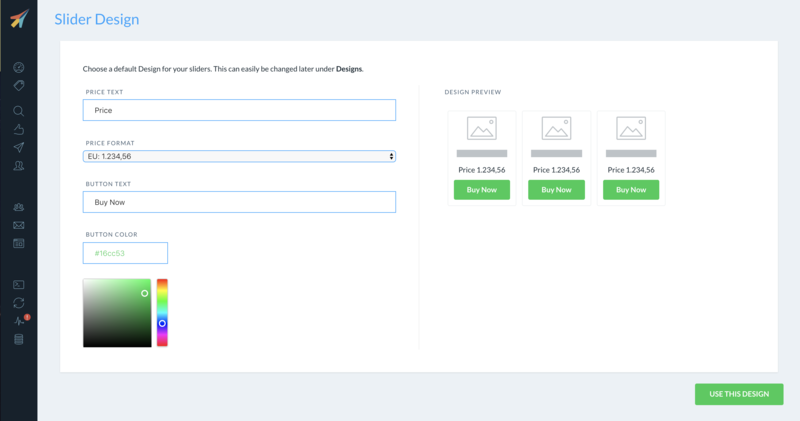 Next, each step of the Setup Guide focuses on a specific page of the webshop. Why recommendations are important on the page. Which recommendations types to use. Where on the page they should be placed. Click Use This Content for each type of recommendations you want to use. 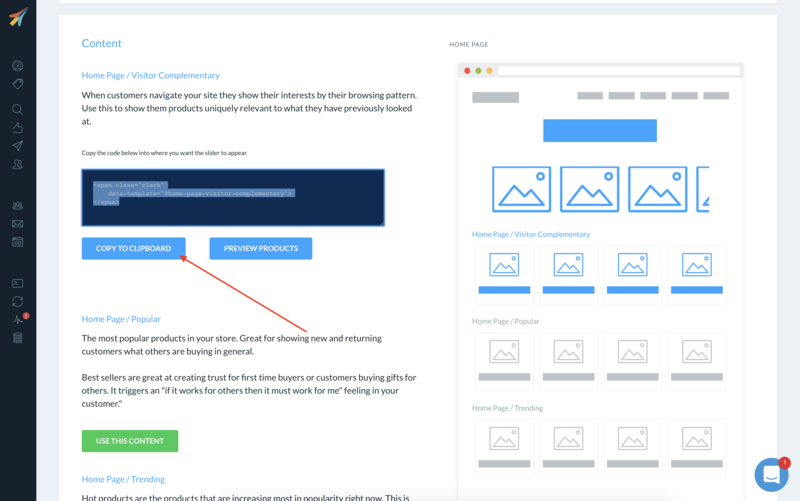 This will activate the recommendations, and allow you to insert them to your webshop. 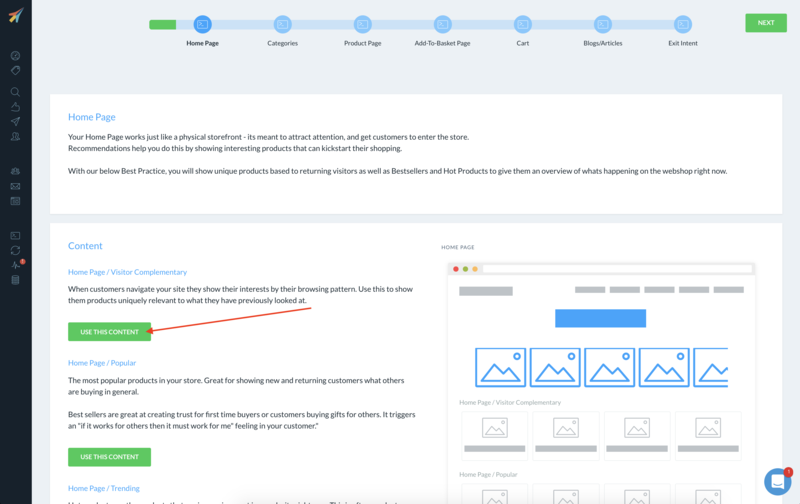 After choosing which recommendations to use for a page, you can add them to your webshop. Some pages allow recommendatons to be added directly through the plugin. If no specific guide is shown, or if you want to customise the placement of the banners, you can use the embedcodes. Click Next to go to the next page. Continue with these steps for all the pages you want recommendations on. When you reach the end of the Setup Guide, click Done to finalise the setup.